Homeofresh Toothpaste Citrus Flavor by Seroyal is okay but I personally don't like to see a titanium dioxide as an ingredient. I don't see why this toothpaste is so special considering its price. 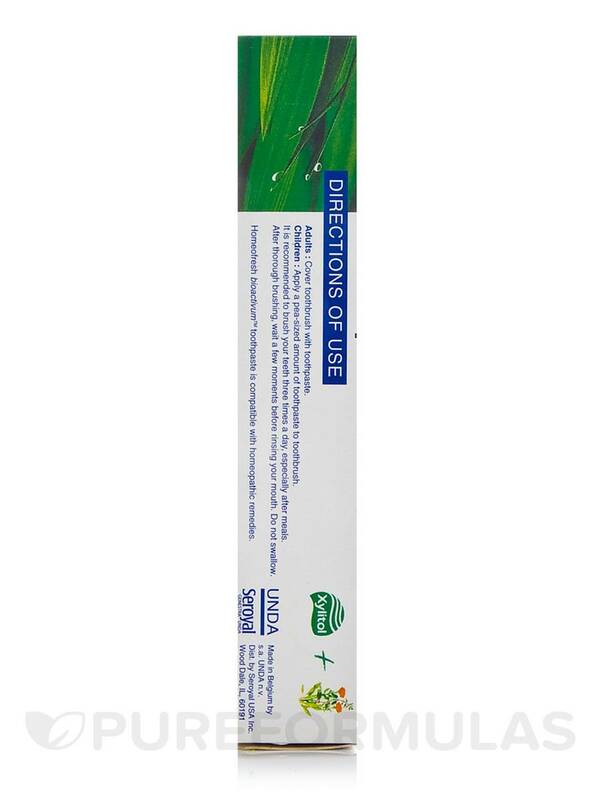 Homeofresh Toothpaste (Citrus Flavor) by Seroyal uses Unda’s homeopathic principles--such as the use of herbs that are wildcrafted or grown through biodynamic agriculture‚ as well as other pure materials--to create a natural toothpaste that tastes great while promoting oral health. It contains fresh plant extracts that may be able to soothe your gums without being abrasive on tooth enamel. One of the main ingredients of Homeofresh Toothpaste is allantoin‚ which comes from the root of comfrey‚ a shrub that grows in parts of Europe and Asia. Allantoin may promote tissue growth and improve your comfort level if you have mildly inflamed gums. Meanwhile‚ Seroyal's Homeofresh Toothpaste also contains xylitol‚ a natural sweetener from birch tree bark that may work to inhibit the growth of streptococcus mutans (a form of bacteria that may contribute to cavities). 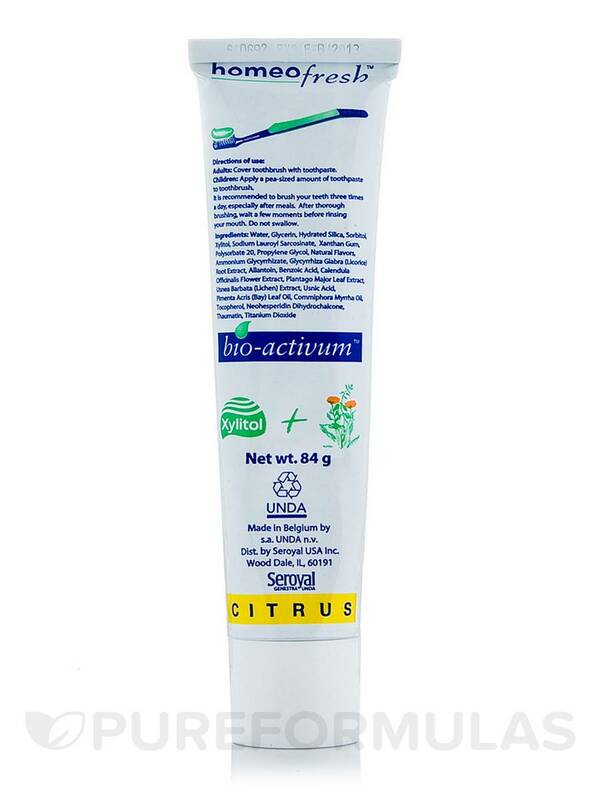 Last but not least‚ the natural citrus flavor gives this natural toothpaste a pleasant lemon taste that suits all ages. 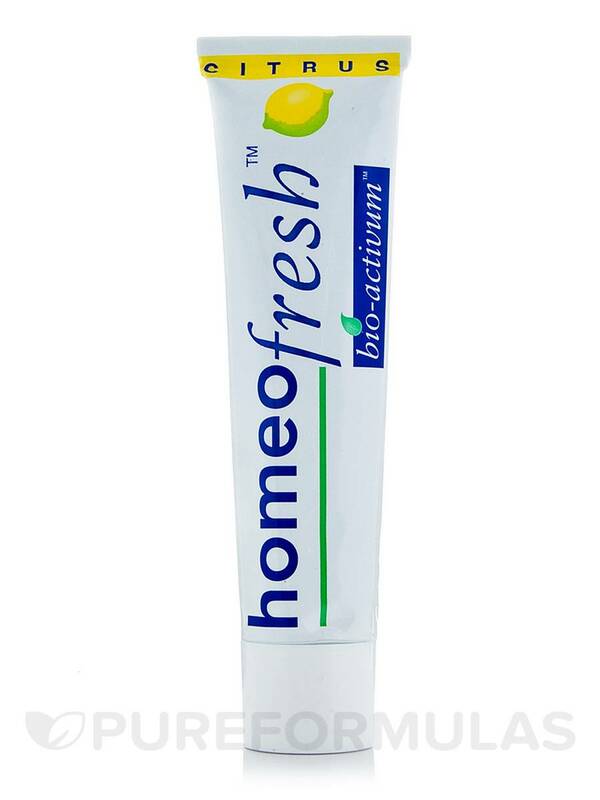 Each tube of Seroyal’s Citrus Flavor Homeofresh Toothpaste contains two-and-a-half ounces‚ which may work to protect your teeth from mild dental plaque buildup and promote overall periodontal health. Homeofresh Toothpaste by Seroyal was recommend by my holistic / NA doc as it will not effect remedies taken like store bought toothpaste will.. ALSO ~ after using it brings your mouth to a neutral safe ph level.... Best toothpaste for toddlers kids etc... Floride s/NOT be in our bodies nor in our water !!! eck !!! 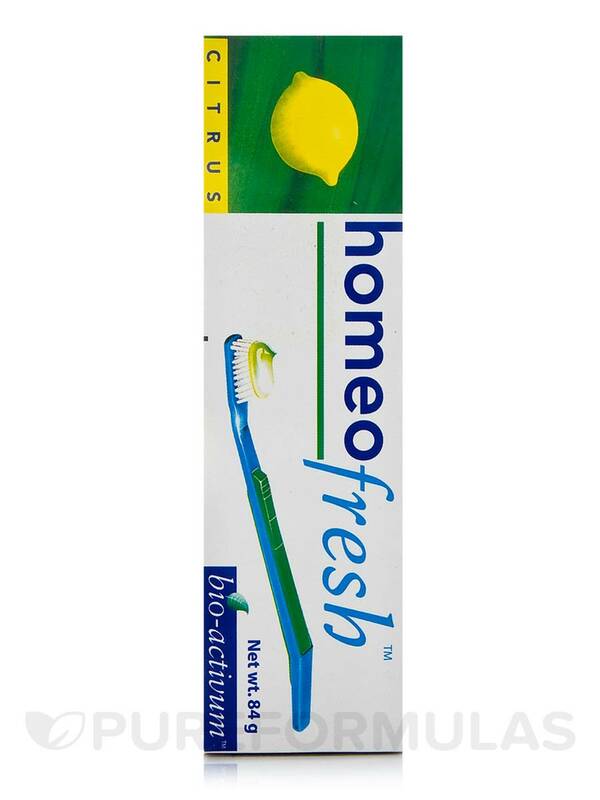 Homeofresh Toothpasteby Seroyal doesnt interact with homeopathics high quality.